It is available with the detailed information about geographical regions and sites around the world. In addition to the convenient roadmap, Google Maps offers aerial and satellite views of many places. Thus, when it comes to Google Maps, it offers aerial and satellite views of many places on your device in the online mode. It is available in some cities showing street views compromising photographs taken from vehicles. It is quite easy to download and install on various devices however it is available as an inbuilt feature of Android device. In this content, you will learn how to use Google Maps offline when your internet is slow and mobile data is expensive. In this mode, you can save an area from Google Maps to your phone or tablet and use it when you are offline. 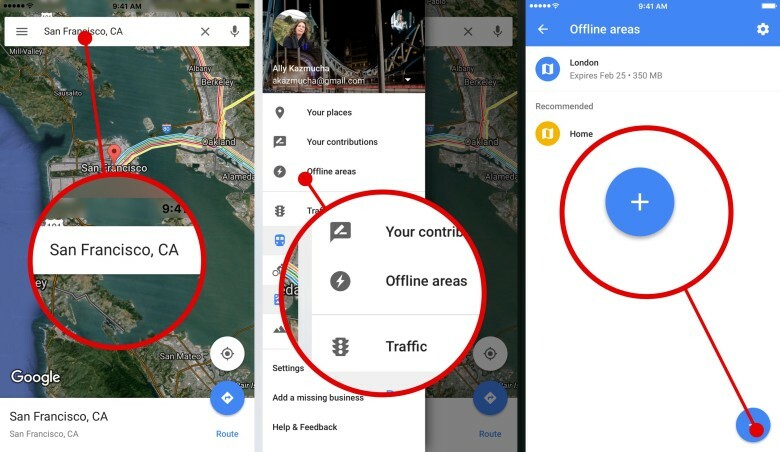 If you want to know the tricks then you must go through the ways to use Google Maps offline as follows. First download the Map to use offline on your iPhone, iPad, and Android. Open Google Maps app and then connect your phone to the internet. Click on sign in button to Google Maps and type the correct email address and password. Go to the bottom tap the name and address of the place and then tap more options. Select the downloading the Map for offline mode and then go to the settings. Having downloaded Maps for offline service you can use Get directions and see routes tab. Use navigation and then search for locations tab and manage it all in the offline mode. You can delete offline maps, rename, and go for the Maps based on your upcoming trips that all you can get in the offline mode which is pretty crucial for each person.